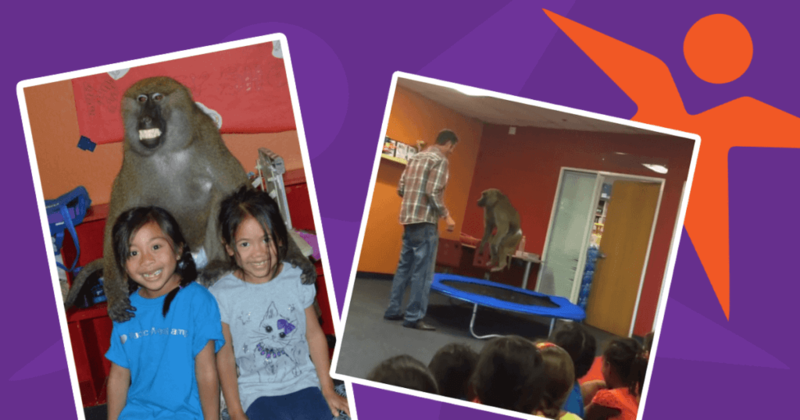 Summer Camp Weekly Special Event, Wild About Monkeys! You don’t want to miss this once in a lifetime show at Camp Pac West! When a movie producer needs a performing baboon, chances are they will call Kevin and Martina Keith – the hosts of “Wild About Monkeys.” Training baboons is their specialty. The believe baboons to be, by far, the most socially intelligent primate. Watch as Kevin and Martina delight and amaze the audience with fun and educational entertainment for the whole family. Checkout the Instagram video below! Register online to see this once in a lifetime performance.